Two teenagers fresh out of stir set their sights on what looks like easy money in Dolores Hitchens’ Fools’ Gold (1958) and get a painful education in how quickly and drastically a simple plan can spin out of control. The basis for Jean-Luc Godard’s film Band of Outsiders, Fools’ Gold is a sharply told tale distinguished by its nuanced portrait of a sheltered young woman who becomes a reluctant accomplice and fugitive. 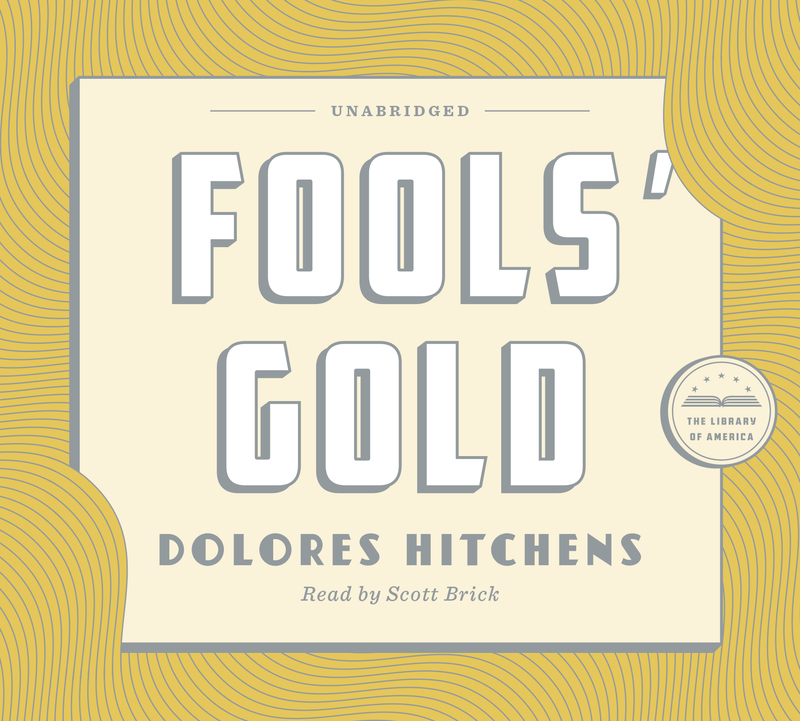 Unabridged Audio Edition: Fools’ Gold, narrated by Scott Brick, is available from Audible and iBooks (through iTunes). Actor and screenwriter Scott Brick has won two Audies and over fifty Earphones Awards for his work as a narrator. The audiobook includes commentary by Sarah Weinman, editor of Women Crime Writers and an authority on mystery-suspense fiction. Fools’ Gold is also in the Library of America collection Women Crime Writers: Four Suspense Novels of the 1950s .